BCX Fitness: Featuring a sensor device and a moderate compressed shirt, the BCX Fitness promises to accurately capture your activity – to a clinical level – while fitting comfortable while exercising. MSRP $ 160/Set. The set includes a transmitter and shirt selection. 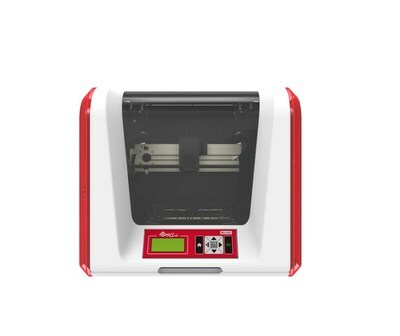 da Vinci Super: For those looking for the capacity to create moderately sized, one-print projects the da Vinci Super meets the need by providing a large build plate , reaching 11.8 x 11.8 x 11.8 inch to accommodate the size of production of everyday Makers. 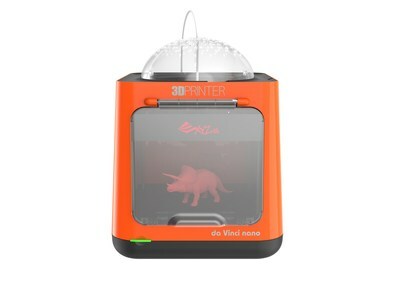 The da Vinci Super is convenient, affordable, and perfect for Makers who wish to build large objects without affecting print quality. MSRP: $1999.95, available Q3 2017.